If you are planning a wedding, renewal of vows or a celebration and have always dreamed of exotic places why don’t you combine your dreams and make them your destiny. We would love to help you plan every detail of your special day. If you are from somewhere else and Calgary or Banff and the surrounding area is the exotic place of your dreams then we are here to dream with you. We love weddings…we love travel…we love happy couples….what more can we say. If you have any questions or are ready to get your destination wedding started please contact our Destination Wedding Specialists. ​Once upon a time in a land far, far away…our story begins. An exceptional experience every time, any place. Work hard, dream big, travel together. Looking for that Coastal Heritage Site with multiple charming locations for ceremonies, receptions and photography? Fort Rod Hill in Victoria, BC is for you. We love this location as it is just opening up to the Wedding Industry and is the hot new place to go. 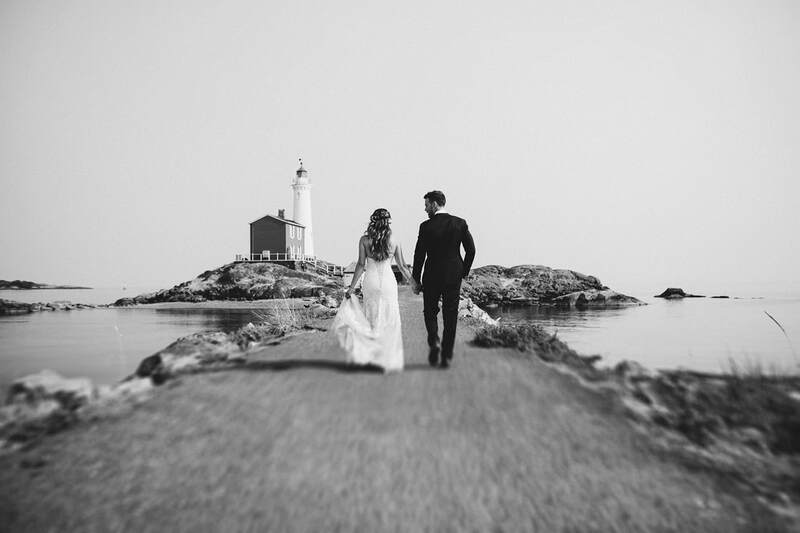 Let's get you your light house wedding. Looking for ​majestic mountain peaks, glaciers, waterfalls and those gorgeous blue lakes? You want the Canadian Rockies. Multiple National Parks containing countless picturesque locations and a vast array of venues allow our specialists to find the perfect combination for your destination wedding. Looking for sun, surf and sand? Saint Lucia has what you need. The exciting culture and life of the island makes this an exhilarating location to celebrate your love. Our specialists will navigate the endless choices of venues, accommodations and entertainment and design the perfect getaway wedding.